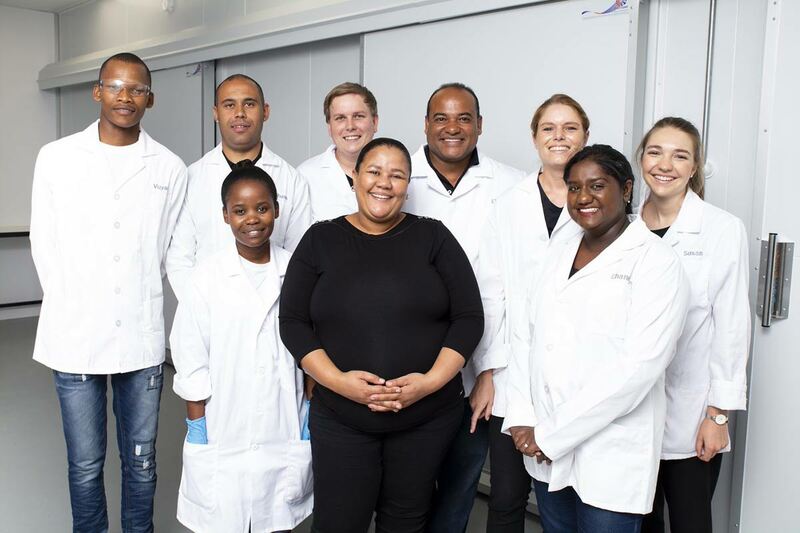 Dr Filicity Vries heads the diverse Research and Development team at Tessara, leading exceptional individuals from a diverse range of fields to not only develop new products but also continiously keep improving on our current product portfolio. Apart from continual product testing and new product development the R&D team is also looking into alternative uses for the technology we already mastered.Please register for news updates or check back to see how we are progressing with new developments. At Tessara we have a well developed and innovative QC department. Botrytis cinerea is a fungus commonly known as just Botrytis or grey mould. It’s considered to be the most important pathogen responsible for postharvest decay of fresh produce, infecting more than 200 plant species. Infection usually occurs during production, and can remain latent until storage and transportation, causing extensive breakdown of the commodity and often spoiling the entire lot. 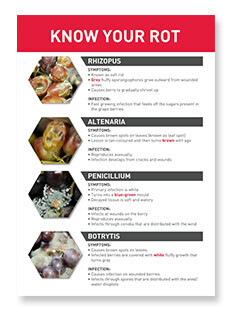 Botrytis cinerea spores are present worldwide, in all environments, and can infect damaged produce at all stages. Post harvest damage is estimated to be in the region of 20% – 50%. Using Tessara products, protection starts from the day the produce is packed providing, depending on the product, up to four months effective protection. The active ingredient in all of our products remains the same: Sodium metabisulphite (Na2S2O5). It is encapsulated in a wax matrix. Water vapour (H2O) that originates from fruit respiration and a high relative humidity, reacts with the Sodium metabisulphite to release sulfur dioxide gas (SO2 ). The gas acts as the fumigator. Ideally the relative humidity should be higher than 75% to start the reaction described above. The chemical reactions are shown below. The speed (rate) of the reaction can however change due to a change in temperature or relative humidity of the environment. For this reason, it is of paramount importance to eliminate cold chain breaks at all cost. The release of will double for every 5°C temperature increase. This is also why the correct sheet should be used that will suit your temperature-, humidity- and packing conditions. Reaction 2 is a side reaction to form anhydrous Sodium sulphate (powdery consistency). Note that this is harmless and not the allergen, Sodium sulphite. As far back as 1000 BC, Homer spoke of ‘the pest‐averting sulphur with its properties of divine and purifying fumigation’ (Horsfall, 1956; Sharvelle, 1961). Forsyth (1802), first recommended sulphur for the control of diseases and this was followed by Robertson (1824), who reported that sulphur was the only remedy ‘which I am acquainted with’ for the treatment of peach [powdery] mildew. Sulphur Dioxide (SO2), is one of the gaseous forms of sulphur. Apart from being fungicidal and thus effective against Botrytis cinerea, it also acts as a preservative, keeping the stems of grapes greener for longer, preserves the fruit’s original flavour and prolonging storage periods. Due to its molecular structure SO2 is heavier than air and will always gravitate towards the bottom of a container or area.